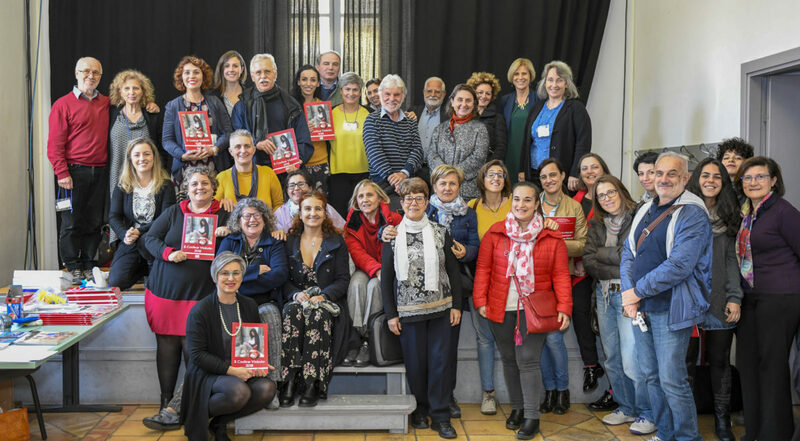 On November 16, 2018, IBFAN Italy organized a conference to officially present the 2018 report on the violations of the International Code of Marketing of Breastmilk Substitutes in Italy: Il Codice Violato. Speakers represented IBFAN Italy, the Italian Movement for Breastfeeding (MAMI), Save the Children and IBFAN GIFA. The interventions touched several key issues around IYCF and the Code, with a specific focus on the Italian situation. 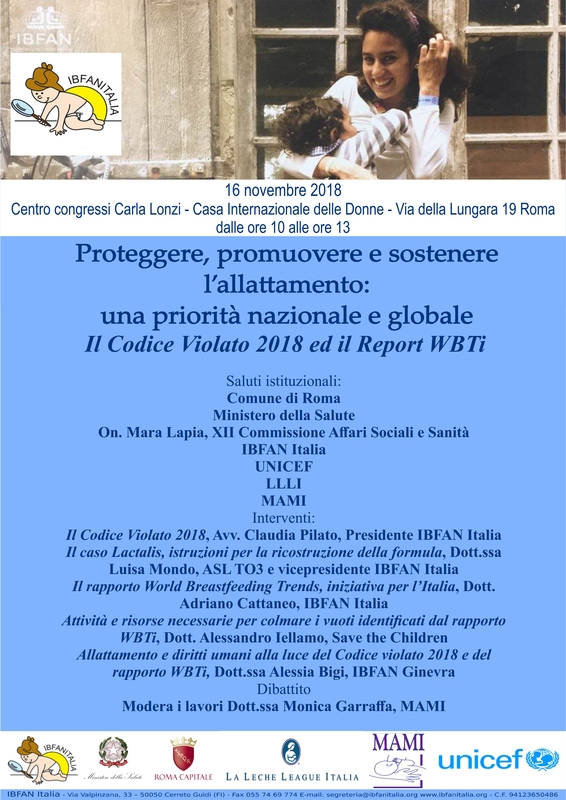 After an overview of the main violations reported in the Codice Violato 2018, participants were introduced to the World Breastfeeding Trends Initiative and were shown a summary of the results of the first WBTi assessment carried out in Italy. Linked to that, possible instruments to fill the gaps highlighted in the assessment were explained and a presentation on the Lactalis scandal provided participants with strong and recent evidence about how serious the consequences of a weak legislation on the Code could be. Lastly, a presentation delivered by IBFAN GIFA was aimed at explaining the connection between breastfeeding and human rights, while describing the last recommendations to Italy made by the CRC, CESCR and CEDAW Committees. In the final part of the presentation, IBFAN GIFA introduced the Italian version of Prezi presentation “Breastfeeding – A matter of human rights“, published in July this year and subsequently translated into Italian with the collaboration of IBFAN Italy.